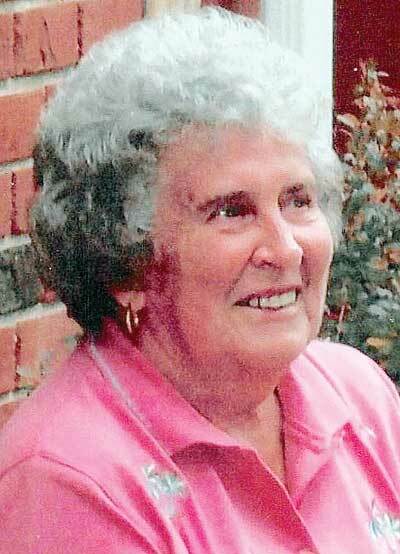 Sylvia Irene Burns, 82, of Vienna passed away at her home surrounded by her family on August 29, 2018. She was born on August 20, 1936 in Berea, WV and was the daughter of Maynard Carl and Dora Irene (Watson) Brissey. Sylvia was Valedictorian of her class in 1954 in Harrisville High School where she was also the Homecoming Queen. She was a homemaker and member of St. Paul’s United Methodist Church. Sylvia graciously volunteered her time at Worthington Nursing Home for 30 years. She is survived by her loving husband of 64 years, Gene Burns of Vienna; three sons Dana Burns (Valerie) of Sissonville, Barry Burns (Jo Lynn) of Vienna, and Alan Burns (Anita) of Vienna; a brother Marvin Carl Brissey of Salem, WV; brother-in-law Edwin Burns (Regina) and sister-in-law Carla Worden (Dr. Steve Worden); five grandchildren Brian (Allie), Dru, Lauren, Amy, and Brett Burns (Jenna); two great-grandchildren Lilly and Jake Burns; several nieces and nephews and best friend Donna Biles. In addition to her parents, she was preceded in death by her grandson Adam Michael Burns; a brother Charles Edward Brissey (Lenora); nephew Larry Gene Brissey; and niece Janet Sheets. The family would like to thank all hospice personnel and a special thanks to Amedisys Hospice for their compassion and care. Funeral services will be 11 AM Monday, September 3, 2018 at the Leavitt Funeral Home, Parkersburg with Reverend Pam Shuman officiating. Burial will follow at IOOF Cemetery in Harrisville. Visitation will be held Sunday 6-8 PM at Leavitt Funeral Home, Parkersburg. Memorial contributions can be made to the Adam Michael Burns Memorial Scholarship, The Greater Kanawha Valley Foundation, P.O. Box 3041, Charleston, WV 25331.